There seems to be much debate over which testing to protocol to use for finding your FTP or functional threshold power. I believe athletes can benefit of a combination of several tests throughout their training season. In this video I cover three popular methods with some pros and cons to each. As the season begins to ramp up I've fielded several questions on Moxy and using Smo2 data in training and even racing. I've put together a few examples of testing and some practical applications of using a Moxy to better guide your training. Moxy is a device which uses NIRS technology to measure Muscle oxygen saturation (Smo2) on a scale from 0 to 100. It also measures blood volume in the muscle which can help determine blood flow in and out of the muscle. This real time physiological feedback measures supply and demand of oxygen in a working muscle. For the time crunched athlete who is looking for that final 5% this tool can help guide that by giving you a live look at what is occurring in your working muscles. ​Embrace the trainer time Its probably the best bike training you will do all year. 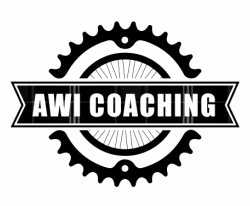 Everyone has different goals for their cycling season but no matter how good you are at hitting the gym or cross training to be the best cyclist you can be there needs to be specific on bike training involved. In a traditional periodized training plan that specificity should begin as your race season approaches and continues through your season. The old standard LSD or steady endurance ride can usually be pulled off with some good planning, clothing and strategic bottle rotations. I’m referring more to interval-based workouts. Year round the quality of a workout done on a trainer or rollers is simply one of the highest quality workouts you can do. No stop signs, downhills, wind, angry drivers, lights, cranky training partners its just you and your workout. Here is an example of a sub threshold or sweet spot workout done on the trainer. It would be a challenge to do this workout as well outside on a beautiful summer day let alone in a snow squall. Especially looking at workouts from a physiological perspective and what system and stress you, your coach or training program is planning on that day. 2 ​I hesitate to put a number on it, but I will say to accomplish some workout objectives, like time in zone, KJ burned, time spent pedaling, hitting those targets and objectives can come from less overall time on the saddle inside vs outside. Here is a 4-hour indoor ride, coasting time is zero, lots of time spent in zone 2. 2879 KJ in 4 hours at a very consistent effort. The physiological adaptions we are aiming for with endurance react well to this type of steady output. ​This is the same athlete doing a 5 hour (moving time) 5:40 elapsed time, coasting time 45 minutes, so pedaling time is 4:15, and burns less KJ. Time in endurance zone is much less and recovery is much higher. This isn’t a “bad workout” by any means, the athlete climbed a ton, spent time in various levels of exertion, and probably enjoyed the ride a little more. Translate that back to a typical 2-hour group ride, how much time do you spend coasting or soft-pedalling? How much time do you spend stopped? Now think about that 1 – 1.5-hour trainer ride I bet your getting a little more bang for your time. Don’t get me wrong there is a time to take it outside and hit some hills, rolling roads and spicy group rides with friends. As this brings another layer of specificity but think of that as the final layer of putting all the bodies systems together. The trainer is where we can target a very specific part of your cycling by controlling several variables without the noise of outdoor riding. I’ve been using the term trainer broadly and can also include rollers which offer their own pros and cons. Rollers are great for longer steadier rides and efforts. They allow you to move around a little more naturally on the bike and are great for working on coordination and pedaling skills. If you can ride out of the saddle comfortably and ride smoothly at 120 rpm on the rollers, then chances are you’re well coordinated and have some good technique. Biggest drawback to a set of rollers is safely doing short maximal efforts and not flying off. Smart trainers and online platforms like Zwift have also come a long way to increasing the enjoyment of training and just riding inside. If your time crunched or weather restricted and stuck on the trainer, go easy on the time expectations and focus on the quality you are getting out of that time on the trainer. These days we are never more than a month or two away with a new training metric being introduced by one platform or another. TTE, W’, FRC, mFTP, 4DP and the list goes on. Many coaches and athletes use these metrics with great success in their training prescription and review. But often take large amounts of good clean consistent power data to be effective while learning the ins and outs of each of these and understanding the components of each metric can take some time. 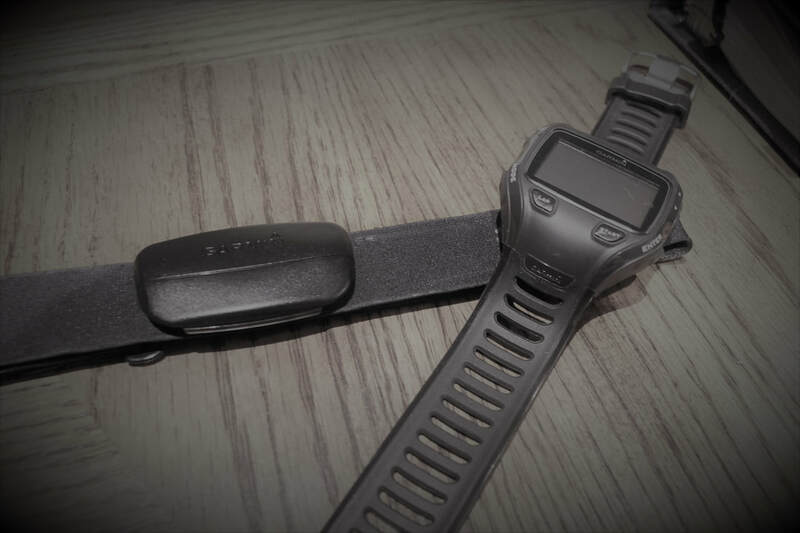 With power dominating the cycling and training world I think its worth a look back and to bring back some of the strategies and methods of using an old-fashioned heart rate monitor. A basic downloadable HR monitor can be purchased for well under $150. And the great thing about HR is that it is giving you a small window into your physiology. HR is a measure of internal stress which can be even more important than just the output aka power. An age old go to test for many is the old fashioned out and back time trial. Using a set distance and equalizing as many variables as possible you can usually track your improvement. The key is to eliminate as many variables as possible, such as equipment, clothing, position, fatigue, weather if possible. This way if all things being equal if you go faster = improvement. There are some other variables in there like pacing and motivation that can throw that off but its still not a bad way to measure physiological improvement. I’m going to outline another way to eliminate a couple more variables to the “ALL OUT” TT. Using a fixed HR for pacing and controlling your effort can help equalize both pacing and how deep you can dig on a test day. Timer – hopefully your computer or watch can do this but a friend with a stopwatch works too. Real world: Select a flat to gently rolling stretch of road aim for something between 5-10km long, If you’re a novice or just starting into cycling or training then aim for the shorter end. Key is to turnaround(safely) so you can hit/get the wind in both directions. As long as it’s the same course then it doesn’t really matter if its 10km or 20km total. Bonus points if you can find an L- shaped route that you can ride out and back on as this will make sure you hit/get the wind from 4 angles. Zwift: this Is a great use of the Zwift platform, for both power and zpower users, use one of the climbs or one of the shorter loops again aiming for 10-20km . If your using zpower and a trainer, note your tire pressure and how many turns you put on your trainer roller, If you using rollers just note your pressure front and rear. Again, its all about eliminating variables. I’d recommend doing this after a rest day or early In a training block, it’s a pretty easy test so you can always add it into a longer ride or use it as a warmup. Try to do it at the same time of day and follow a similar nutrition plan for the day. Make notes of your equipment and tire pressures, clothing, bottles etc. You want to be relatively rested as fatigue can throw off your HR. This is the great thing about this test, it’s not a maximal test whatsoever so the HR you select to ride at isn’t crucial if you’re in a nice aerobic range. If you already train using HR zones us something near the top of your endurance zone. If you know your threshold HR, then aim for about 30 below that. For most people this will be somewhere in the 130-150 range…. you want to be breathing a little more than usual, but it shouldn’t be strenuous by any means. Even though this isn’t a maximal test a warmup is still a good idea, 20- 30 minutes of endurance riding with a few efforts to get the HR up is great. Starting is up to you, you can do a standing start… or just roll into it at the correct HR and hit your lap button as you pass the start line. Just keep it consistent test to test. The latter has the advantage of having time to find the correct effort level. Ride the course trying to maintain a comfortable consistent position on the bike, keep your head up(eyes on the road 99% of the time) with quick glances down to make sure you are riding within a few beats of your target HR. Your HR takes a few seconds to respond to effort changes so be gradual with any changes of pace so you don’t overshoot. When you finish, hit lap on your computer or note the time and avg hr if possible hopefully its bang on your target but if its off by a beat no sweat. Take notes! Be sure to record as much as you can so you can replicate the test as closely as possible…..almost like a science experiment. But more fun. Even though this isn’t a maximal test you should see your time come down and your avg speed go up over time with more aerobic training as your body becomes more aerobically efficient. You can do this test as often as you like but every 4-6 weeks is enough and don’t sweat it if 1 test takes longer. There are still some variables at play here, but you should see a trend downward. If you reach a plateau that’s a great time to add a little more intensity into your training program. We hear this phrase a lot, I prefer the phrase "Training content" Vs Quantity but that's just me. Many people saw and shared Catharine Pendrels instagram post on the subject. A couple standout points "In training, more isn’t always more " and "But more important to consider than hours, is the composition of your training. " I believe most coaches, trainers, self coached athletes would generally agree but what that means may look a little different. I just wanted to give a case study of an athlete and give some insight into how I look at training content and its effect on performance. Reasonably fit with a fair amount of lifetime hours in the sport. In early November had a mFTP of 245, a TTE (time to exhaustion) of 33 minutes, and a 20 minute power of 254. Not the fittest this athlete has been but also not entirely untrained. The past 11 weeks has been a very focused blend of specific on the bike workouts (53 hours) Focused Strength (10 hours) Aerobic cross training 36 hours. 99 hours total or 9 hours average. Not world class volume at all but the content has really help drive the improvement below. Now for the content LOTS of Endurance, and Tempo/SST work. Also consider this is only the 53 hours of on the bike. The X-training would bring up the total % of the Zones 1-3. And the others down a bit. Two simple reports but tells a lot about the content and makeup of an athletes training vs their improvements. This is just one athlete, and by no means am I saying THIS is the only way it should look, simply showing a way of looking at that training composition. But I will say if your 90% in recovery zone maybe there's some room for improvement. ​A thought for long days on the bike and back to back rides. Yes, I know I know another blog about the benefits of just putting in some time on the bike (or skis, snowshoe or whatever you do) to better prepare for a race weekend. I often write training plans for time crunched cyclists and something I am reminded of when it comes to planning a race weekend for someone is how much time it takes to prepare properly, race and Cooldown. And how important it is to get some back to back days of training in to prepare for that. Looking at an XCO MTB race weekend, pre-riding a course to the point your comfortable with it and doing some intensity to get all systems firing this can take 1.5-2 hours to do. Then on race day getting in a good warmup which in my opinion is a minimum of 30 minutes of moving time again with some intensity to get all the energy systems activated. Then the actual race part which can 1-2 hours, followed up by a minimum of a 20 minute cooldown. That weekend of riding can easily be 3.5hr- 5hr of saddle time. If a regular week is 6-8 hours you can see how much of a chunk that can take up. I find many of my squeezed for time athletes CTL’s (measure of long term training stress) can really start to ramp up just due to those weekends. And it actually can be a battle to keep that in check to help prevent burnout, injury or illness. And why its important to always consider racing as a part of training. I believe this is one reason why many racers feel that “burnout” by July, with a front heavy racing schedule (at least here in Ontario) many athletes simply don’t have the chronic or foundational fitness to handle that ramp. If you’re a MTB racer who follows a pattern like the one above it’s a great idea to build that kind of stress into your training weeks. Or at least some of your training weeks. Even if your race is “only” 60-75 minutes long its important to consider the saddle time to properly prepare, race, and cooldown from that race weekend. HIIT Vs Endurance or apples to oranges. There are other systems in the body as well, Urinary, Digestive, lymphatic, reproductive, Endocrine (hormones). But for now, I’m focusing on the first four. In HIIT you are usually pushing one system to the max then forcing the other systems to compensate, recover then repeat x times until you can’t anymore or your jerk of a coach tells you to stop. For example, get on the bike, or rower, or track and crush some 30 seconds all out intervals, with 30 seconds of rest. Repeat 10-15 times. You will be maxing out your muscular system and pushing your nervous system as well. Then your heart and lungs kick in to compensate as your muscles are maxing out their utilization of oxygen and need more of it. So with HIIT you are maxing out your systems which is beneficial as your pushing your utilization of that o2 and pushing your delivery systems to get the 02 there. But its very time limited you can only do so much before your exhausted and puddle of goo. NB- the Muscle Oxygen sensor has been great for guiding this HIIT, instead of counting fingers. Now for endurance training, zone 2, LS(teady)D, the aim is to keep all the systems working but not one system hitting its limit which would result in kicking in another to compensate. Where 95% of cyclists stray from this is they feel its too “easy” and there is nothing to be gained. And begin to start going harder. 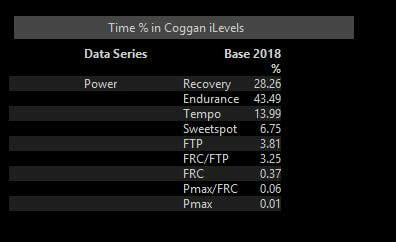 (AKA more watts more watts more watts then crack) Well if you’re a well-trained athlete riding at 65% of FTP or 50% of MAP its pretty manageable for an hour or two, but what about 6? Just because it feels easy doesn’t mean your body isn’t working. There are plenty of benefits of doing just that kind of training, your laying down the foundation to then build up with that fun HIIT, capillarization, inter-muscular coordination, mitochondria, and getting into how your body uses and stores energy as well. And there are metrics for measuring your growth and improvement with endurance training. (hint: its not just more power) So if you really want to build your aerobic capacity and endurance try your best to do MORE time in that level or zone. Unfortunately, life does come into play and is a limiting factor for many. 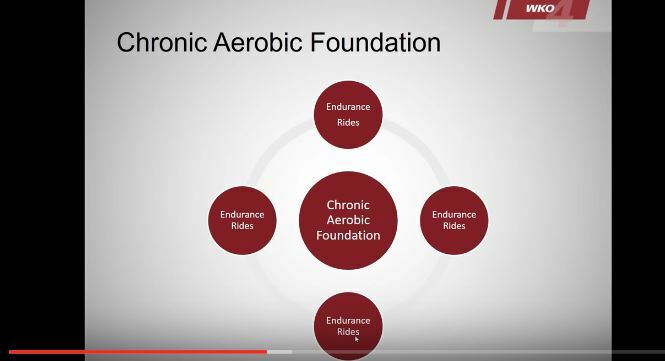 I Stole this screenshot from a recent webinar by Tim Cusick of WKO4 (so full credit to him, can be found on WKO4 youtube called “Building and tracking the aerobic engine") This slide is a very detailed look at 4 options to work on that foundational aerobic capacity. So where am I going with all this? Basically, that there is a time and place for everything, as an athlete or just a human being you should look at incorporating both HIIT and Endurance training as they both have benefits that the other doesn’t have. My advice to any athlete looking to gain some performance this season is to put some time into that “Chronic Aerobic Foundation” When you hit a hill and your HR spikes and your powermeter is reading 400 or your hr monitor is flashing 190 you may be pushing on some limiters. Regardless of what your AVG power is when you get home. Instead gear down, ride the hill, enjoy the scenery and go LONGER. I promise you if you commit to that then the hard training or HIIT will go even better down the road.